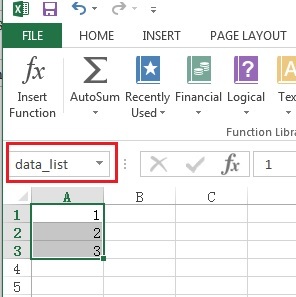 This tutorial explains how to use Excel Indirect Function to convert text to Reference, and how to use in Data Validation. Excel Indirect Function is to convert text to Reference (or cell value). For example, formula =A1 returns A1 value because A1 is considered as Reference, but =”A1″ is considered as Text. 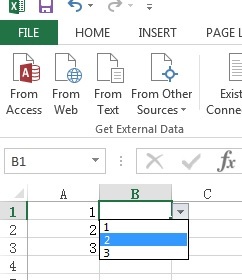 Excel Indirect Function can convert the “A1” Text to become Reference. One popular use of Excel Indirect Function is to use in Data Validation where you convert a Named Range to Reference (see below example). Another less popular use is that when you combine a Range address such as “A1” from “A”&”1”, then you want to convert “A1” to Reference for use in other formula. Click to see an example that I answered in Microsoft Community. Suppose you want to make a data validation that list values in A1:A3. 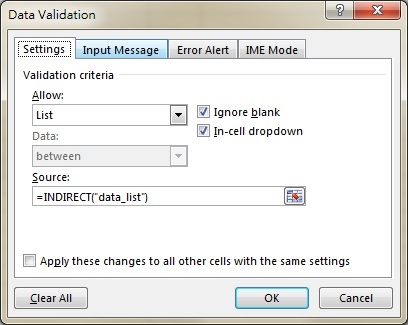 Select Cell B1, click on Data > Data Validation > fill in data as below using Excel Indirect Function to convert text “data_list” to Reference.